Beautiful stage design custom to us. Florals and structure can be changed. The Mirrored Backdrop is a custom build for us. 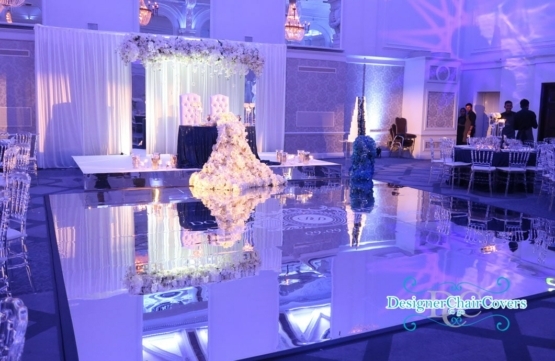 The backdrop can be customised with the flowers of your choice and with many other floral designs. The mirror can be gold, all white or regular mirror.